MTN Street Paint Marker - 15mm RV29 Arctic Blue is a graffiti tool of the trade with a high capacity body and 15mm chisel tip nib. With a quick coverage solvent-based paint creating a long-lasting mark is no problem. 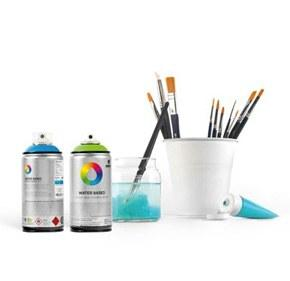 Montana Colors Street Paint Marker 15mm RV29 Light Blue is a full middle bright light blue coversall any surface paint marker.